Allegiant Air still not save to fly! Lufthansa uses biometric data to board 350 people in 20 minutes at LAX! California was my home for close to 20 years and has magnificent natural beauty, from Lake Tahoe to Yosemite or my favorite Road Trip on Highway 1. 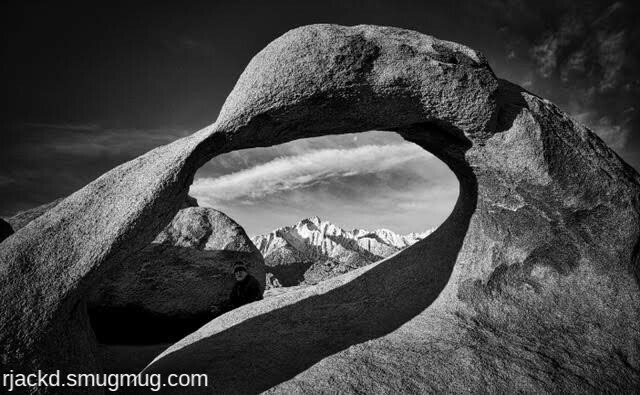 One you might have seen in Hollywood movies, but probably not heard much about, is the Mobius Arch in the Alabama Hills, part of the Sierra Nevada in California! You have to earn this sight with a hike in the heat, but it is an impressive view! Robin took this stunning photo that captures the natural beauty of California– and he has many more, equally captivating photos on Robin’s Photo Site. You can view them, order photos or create photo products on the site!